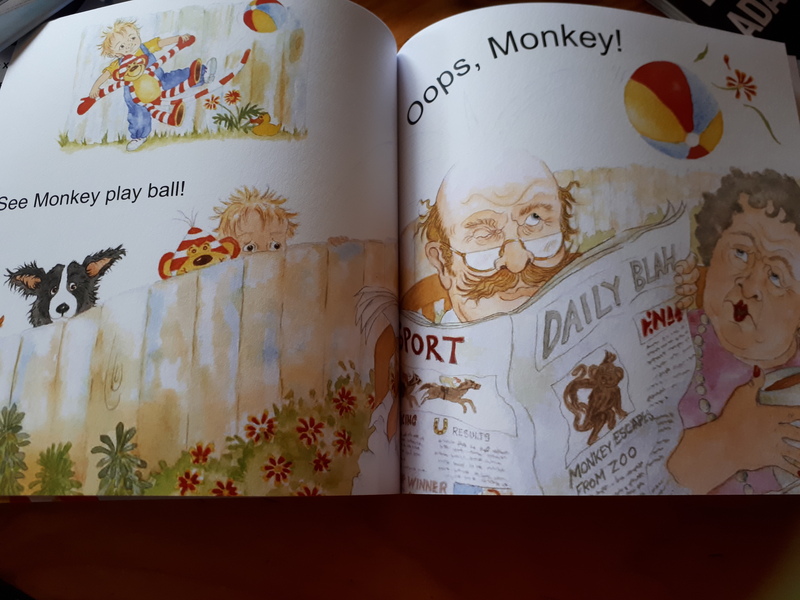 I’m delighted to announce that the illustrator for On My Way, my forthcoming picture book with Scholastic, is the fabulous Simon Howe. 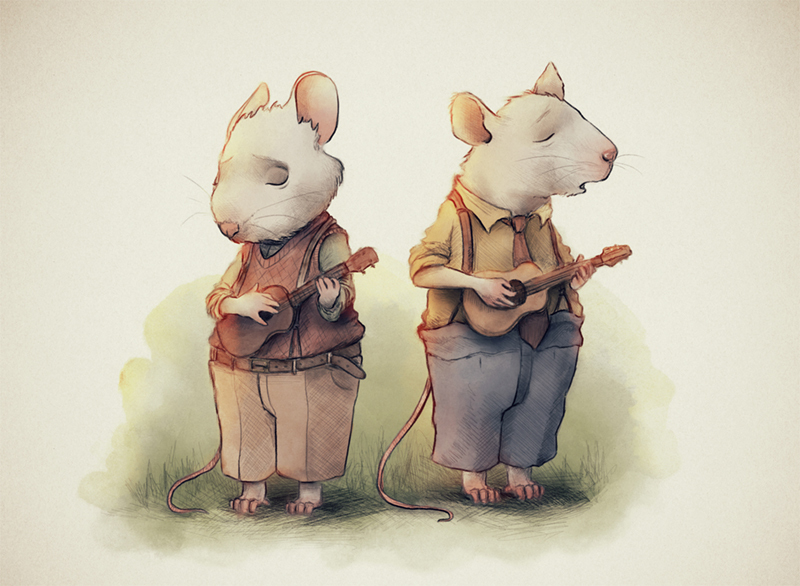 Just love his whimsical, magical work, very excited he will be creating the visual world of On My Way–which is a story in verse about the extraordinary people a child meets on their way to various places. And there’s a real twist at the end! The book will be out in the second half of 2018. Today’s the start of a new series featuring the reading picks of writers and illustrators: their book discovery of 2017. It can be a new book out this year, or an older one discovered for the first time, or an old favourite re-read and re-discovered. And in the introduction today, I’m featuring a book I hadn’t read since childhood, but which I re-discovered, in a new edition, after this year visiting the place where it was actually set: the place which is so much more than a setting in the book, but is a character in its own right. Having been there now, I understand exactly why that is. The name of the book? It’s The Children of Green Knowe, by Lucy M.Boston. And the name of the place? 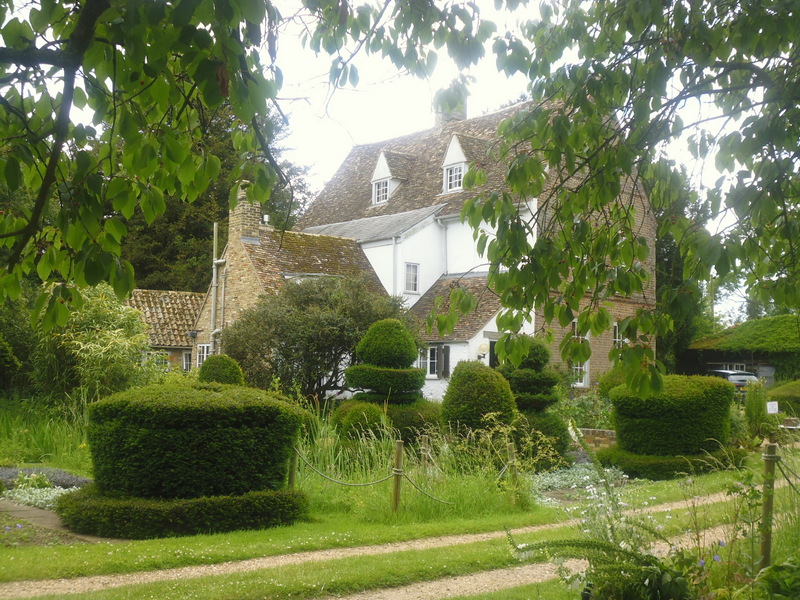 It’s the Manor at Hemingford Grey in Cambridgeshire. I always remembered reading that book with its dramatic wintry opening in the middle of floods and snow as seven year old Tolly, whose parents are overseas, arrives to stay for Christmas with his great-grandmother Mrs Oldknow at Green Knowe, the ancient family home. And there he gets to know and love his great-grandmother, the ancient, friendly, extraordinary house and the secret life of its ghostly inhabitants, the children of Green Knowe who lived there through the centuries and who are there still. There was nothing frightening about this evocation of a haunted house; instead it was enchanting, comforting and beautiful. I took to it immediately as a child not only because it’s very well-written and engaging and vivid but also because I think unconsciously it reminded me of our own ancient house in rural France, with its haunted yet warm atmosphere. Getting there for a holiday was always so exciting and I could totally identify with Tolly’s feelings. 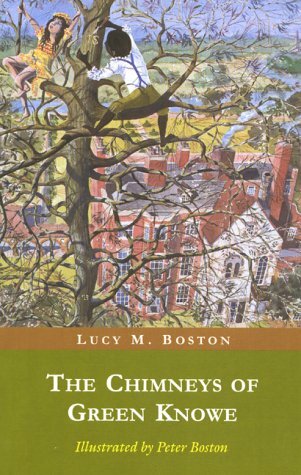 The book stuck in my head all those years because of it, but I had no idea that Lucy Boston had written it around an actual place. Hemingford Grey and there, in that 900 year old house–the oldest continually inhabited house in Britain, apparently!–the book I’d loved came to life again in the most magical way. There, right there, was what Tolly had seen when he arrived that wild winter’s night, what he’d found when he explored that extraordinary house from top to bottom, what he’d seen when he looked out of the window at the glorious garden(though, granted, it was summer when we were there, not winter–but the Green Knowe series continued for another 5 books, and the summer garden certainly appeared in them.) Lucy Boston’s imagination had, it seemed, made visible what was there in those ancient stones, waiting to be evoked. And the fact that not only had her son Peter created the charming illustrations for the books on the spot as it were, but that his widow Diana still lived there and acted as tour guide for the pilgrims who came to the house, added to the wonder of it all. The strange thing was though that of all the people in the motley group Diana took around that day, we were the only ones who’d come for Green Knowe, for Lucy Boston the writer: all the others, mostly Americans, had come for Lucy Boston the patchwork artist! Her patchworks were famous it appeared…as famous as her books. At first it was disconcerting to me–and then I remembered Mrs Oldknow making patchwork by the fire and thought how extraordinarily apt it all was–a patchwork book of stories about a patchwork house whose elements from different centuries did not jar but worked as a harmonious whole.. 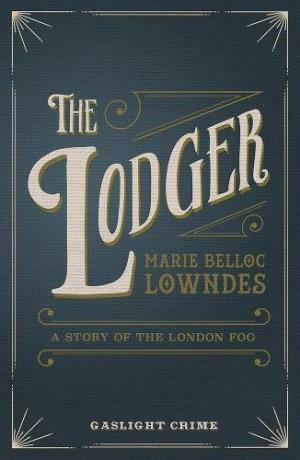 I bought a new edition of the book from Diana at the Manor shop, as well as a couple of other books in the series. 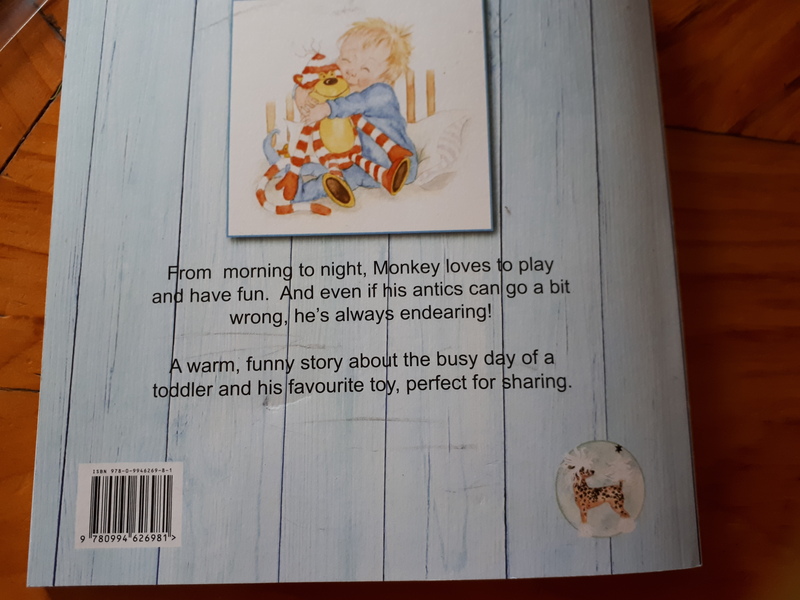 She told me that though the first two were still in print, the others had fallen out of print and so she’d taken the step of republishing them herself, and they sold ‘like hot cakes’. 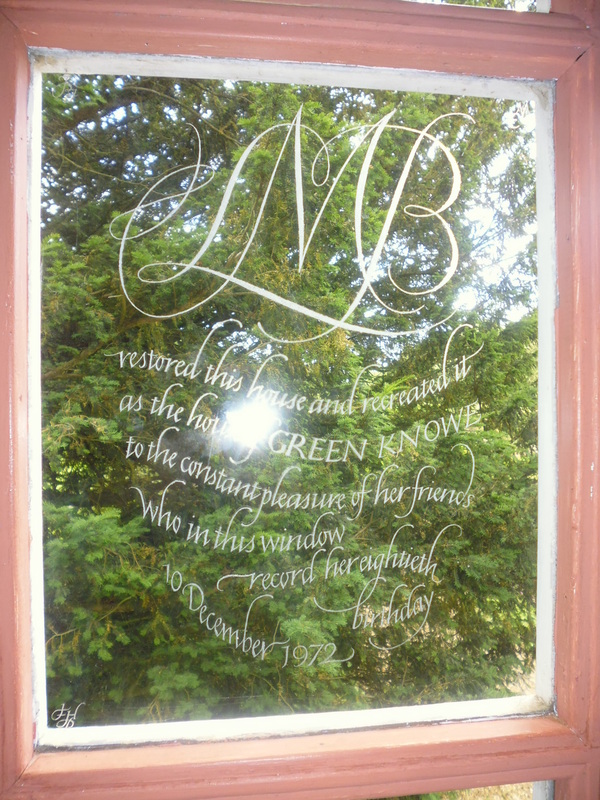 Back at our Cambridge flat, I re-read The Children of Green Knowe, and found its re-discovery deepened enormously by the experience I’d just had. Yet the original enchantment remained too. True reading magic indeed. 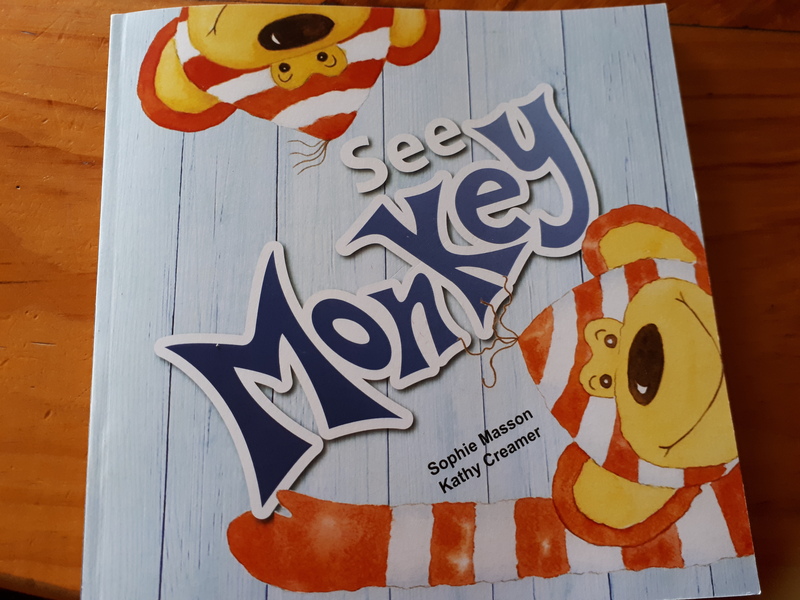 Exciting See Monkey first reveal of draft copy! 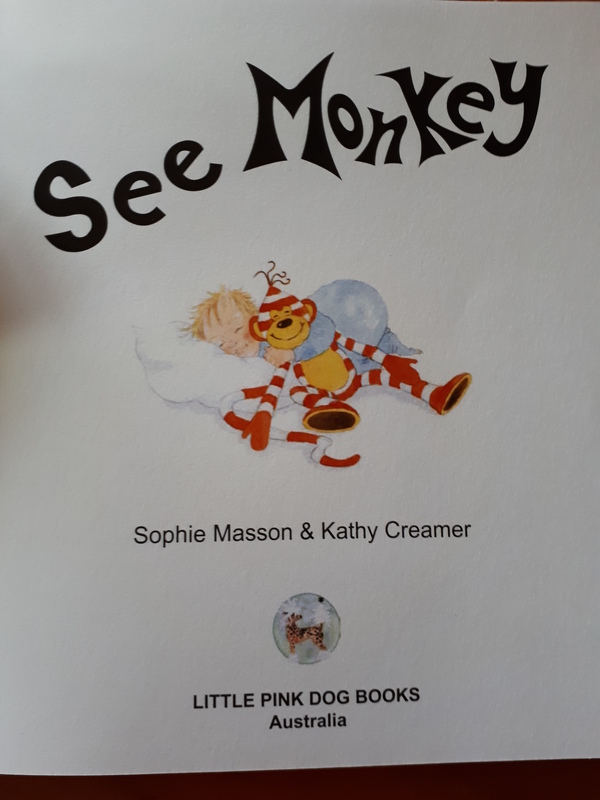 It was so exciting today to meet over a very convivial lunch with the fantastic Kathy and Peter Creamer from Little Pink Dog Books and be handed a draft copy/dummy book of See Monkey, my forthcoming picture book with Kathy, to be published by Little Pink Dog Books in early June next year. Here, with their permission, is a bit of a sneak peek at a few elements. 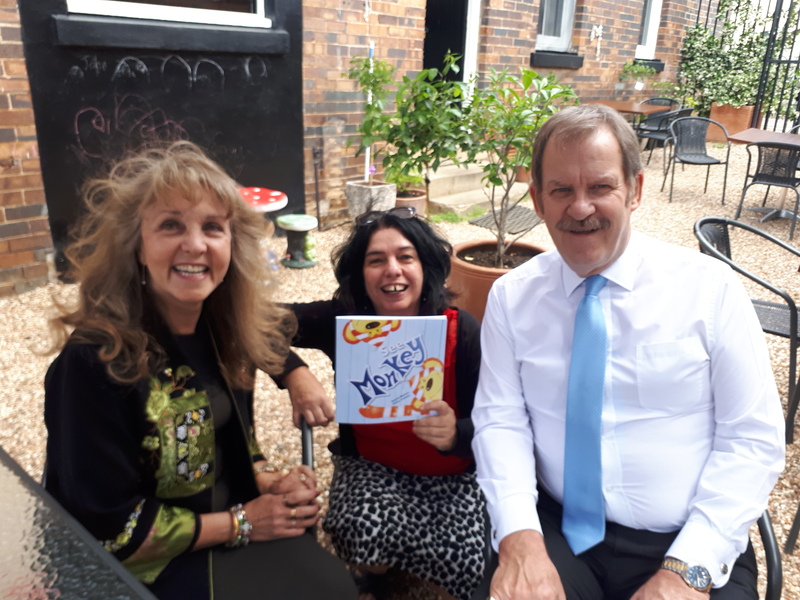 I couldn’t be more thrilled with the warm, lively and funny visual world Kathy has conjured up to bring my text to full colourful life and can’t wait to see the book out next year!